It was thirty minutes before anyone appeared in the street. They spoke in whispers. As they approached the cantina one of the men from inside appeared in the doorway like a bloody apparition. chest where a pink froth breathed in and out. One of the citizens laid a hand on his shoulder. A dónde vas? he said. A casa, said the man. 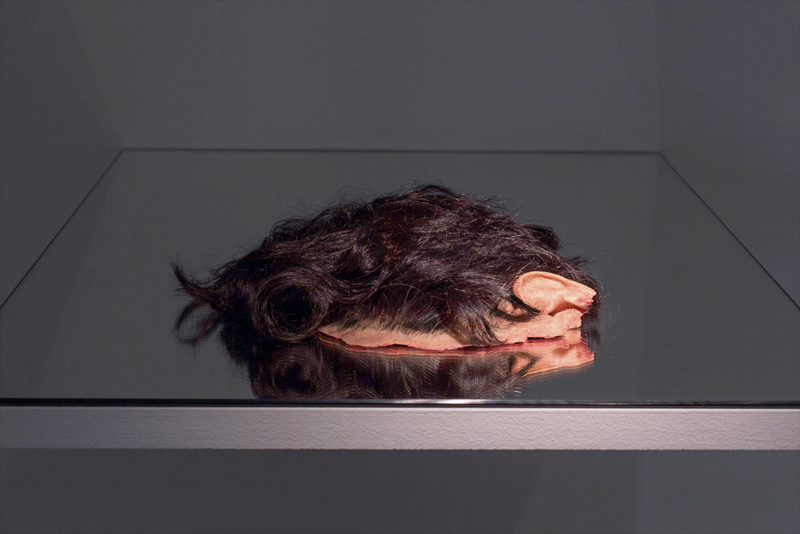 Commissioned for the exhibition La Tyrannie des Objets at the Galerie des Galeries, The Melendez Family (2013) examines a dark portion of shared US-Mexico history from the middle 19th century, in which the Mexican government, tired of the Apache raids which decimated their crops and killed their citizens, issued a bounty for each Indian scalp. As a result, a stream of ‘scalphunters’ – bands of US soldiers and criminals – descended into the Chihuahua region and initiated a series of massacres, often indiscriminately scalping Indians and Mexicans alike. The Mexican government was unable to distinguish its own citizen’s scalps from those of native Indians, and resigned themselves to paying the scalphunters either way. 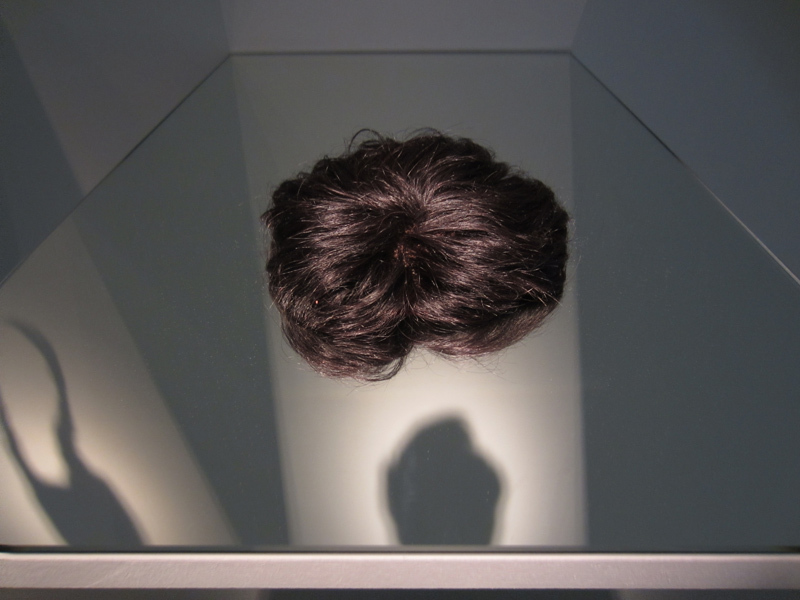 The scalp is a problematic, ambivalent object, becoming paradoxically many ‘things’. 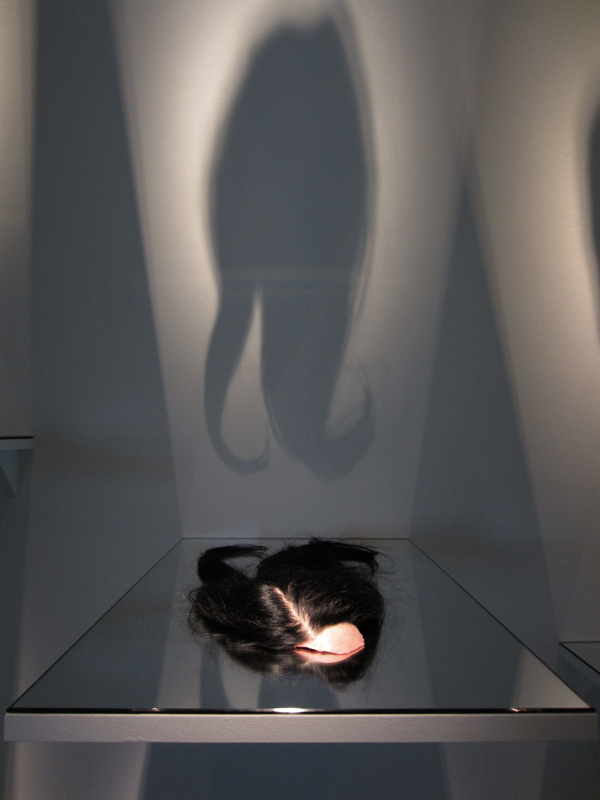 Once separated from the human body, a scalp travels under false identities. In this historical case, it first becomes a form of currency (being bought and traded), later it is found hanging from the belts and shoulders of the scalphunters – a perverse fashion accessory – and finally, it retires into the role of an ethnographic artifact, displayed in museums across the United States. 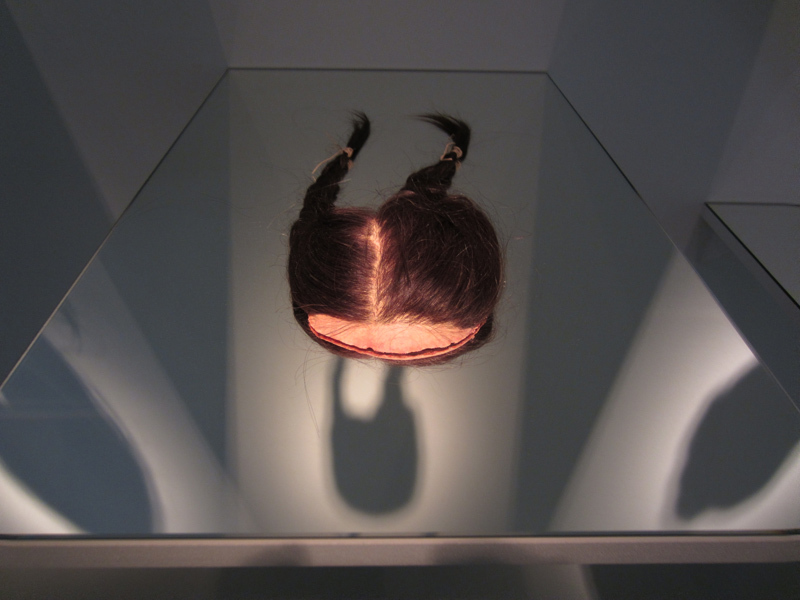 The scalps were fabricated by Agatha Haines. 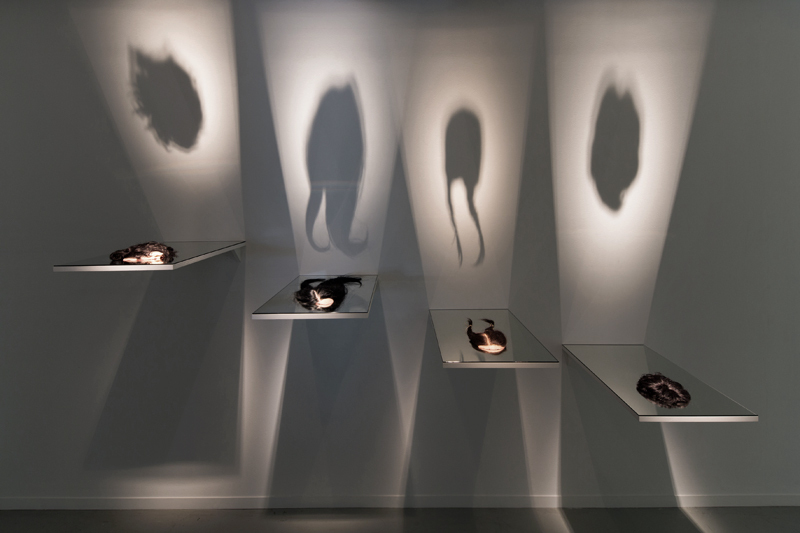 La Tyrannie des Objets was curated by Alexandra Fau. With the grateful support of the Galerie des Galeries, Paris and the Royal College of Art, London.